There are now thousands of recipes at proteinpow.com and, I’ve got to say, this is probably one of my top 10. I loved this apple crumble. LOVED it. 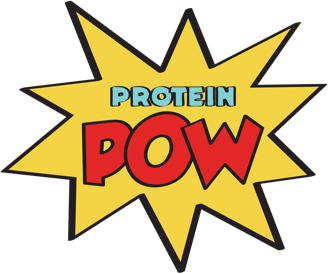 I loved its extreme simplicity, its flavor, its texture… I loved its hefty punch of protein kaPOW! And the fact that it’s gluten-free, sugar-free, and nom nom nom – delicious. And I have you guys to thank for it! Why? Because you chose it! You chose it over nine other options I gave you on facebook when we played ‘Choose the Next Recipe’ last night. You voted on what you wanted next and a Low-Carb Apple Protein Crumble won – by a landslide. Which is great! Because I never would have picked it. No. I would have picked option seven (Black Onyx Villain Protein Bars) or nine (Protein Inspector Gadgets). Seven because I love Black Onyx and nine because it was this game’s wildcard and I wanted to surprise you with something… creative. But until next time, Inspector! M wildcards seldom make the cut when we play ‘Choose the Next Recipe’ on facebook anyways. So far, only one wildcard has won a game (it was the Cookie Monsterian Protein Muffins) but after that… nada. Majority always seems to gravitate towards protein twists on every day classics. Which is cool! Because that’s how this recipe was born.